Any enthusiastic festival goer will agree that, over and above a decent line-up, the most important guarantee of a memorable weekend is the location. While a good line-up will reliably shift tickets and bring in new crowds, a good location is what makes punters return year after year. This is undoubtedly the secret behind the success of Gottwood Festival, one of the UK’s best-loved boutique festivals. Despite reliably boasting jaw-dropping line-ups of world-class house and techno - Ricardo Villalobos, Move D, Ben UFO – Gottwood’s real headliner has always been its location: situated in the grounds of a beautiful country house, the festival’s stages sit around a shaded lake, nestled in a clearing of an ancient patch of woodland, huddled against the Irish sea on a rugged stretch of the Angelsey coast. This year, the team behind Gottwood are launching a second festival, Houghton (9th-12th August). With a line-up curated by Fabric resident and chief booker, Craig Richards, the music programming is, as expected, flawless. 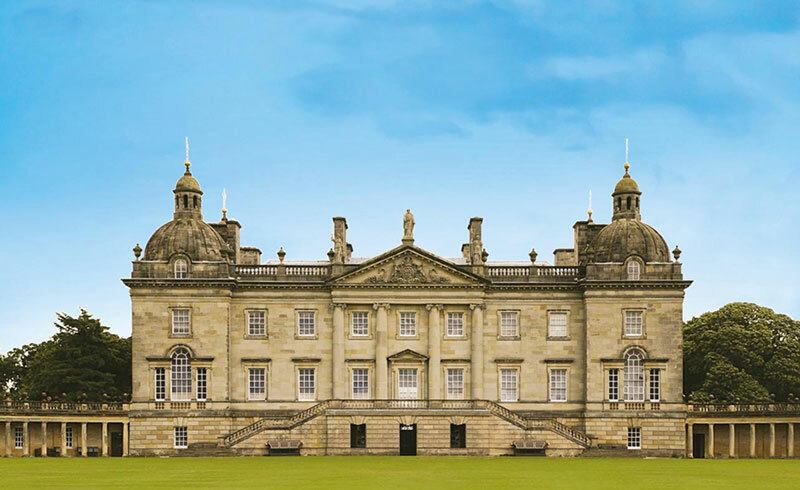 However, once again, the most enticing feature is its location: Norfolk's Houghton Hall – a Grade I listed country house built in 1720 for the first de facto prime minister of England, Robert Walpole. The building itself is like something out of a Jane Austen novel, with an exterior of silver-white stone, and regal domes punctuating each of its corners. But for festival-goers, the main attraction will be Houghton’s gardens, which are located next to the festival site and will be accessible during the day. The gardens remain intact as they were originally landscaped – into twisting garden paths and hidden clearings – now brought up to date with the addition of an array of modern art sculptures and follies created by visionary and acclaimed contemporary artists, including James Turrell, Richard Long, Anya Gallaccio and Zhan Wang. It is this – the prospect of going feral for a weekend in Houghton’s majestic gardens, with hidden works of art around every corner – that has us counting down the days until we jump the train to Norfolk. For now, here’s a look at what to expect. American artist James Turrell’s immersive light installations were the inspiration behind Drake’s Hotline Bling video – but he has been a pioneer in the field of ‘light and space’ art since the early 1960s. The ‘Skyspace’ at Houghton Hall is located in a large wooden cabin, inside which your attention is directed towards a square hole in the ceiling, providing a framed view of the sky above. As daylight fades, the light in the room changes, and the sky itself turns to a deep, dark, thick blue: the perfect space to unwind in the quiet hours of the day. Turner-prize winner Richard Long creates striking landscape sculptures using stone, mud, wood and other foraged materials. Installed in 2003, the Full Moon Circle at Houghton is a huge circular sculpture made of large shards of slate, which looms before you as you walk down from Houghton Hall. Chinese sculptor Zhan Wang creates abstract stone-like sculptures coated in chrome, which are intended to represent objects of vital energy and tools of meditation. One of these iconic 'Scholar Rocks' is hidden away in the grounds at Houghton Hall. Anya Gallaccio creates site-specific, minimalist installations using organic materials: chocolate, sugar, flowers, ice.